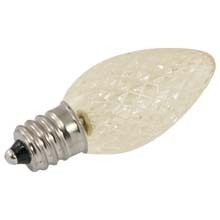 C7 & C9 Stringers & Reels decorate displays, homes, commercial buildings and trees for a season or for the holidays. 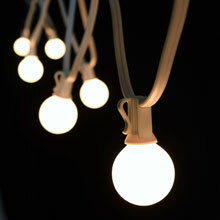 Great for lighting festive interiors and exteriors including building outlines, patio lighting, gazebos, porches, tents, streets and many other lighting applications. 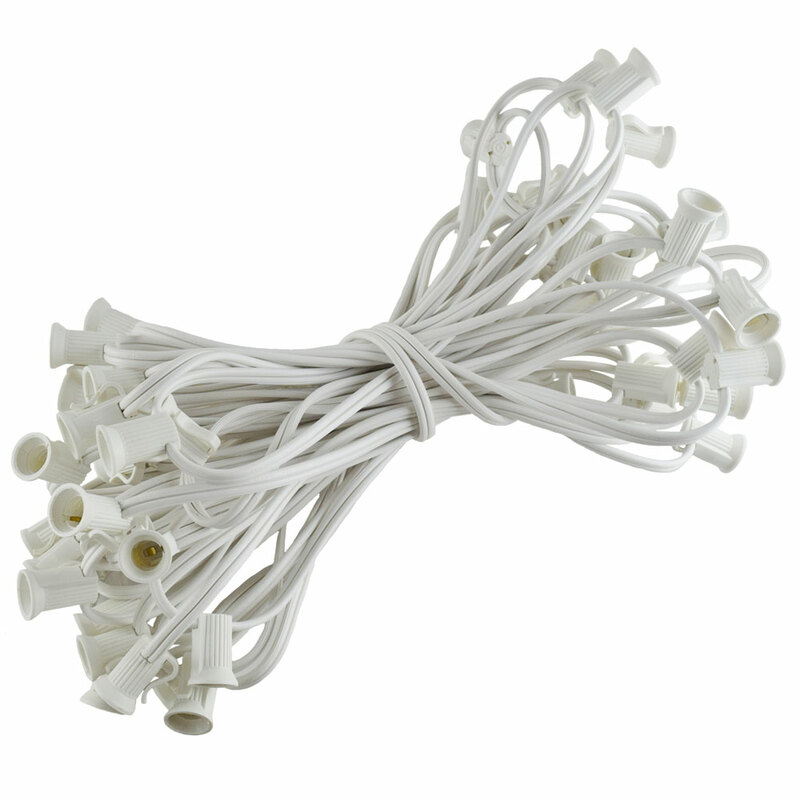 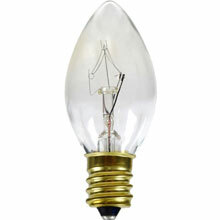 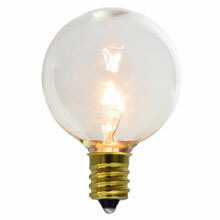 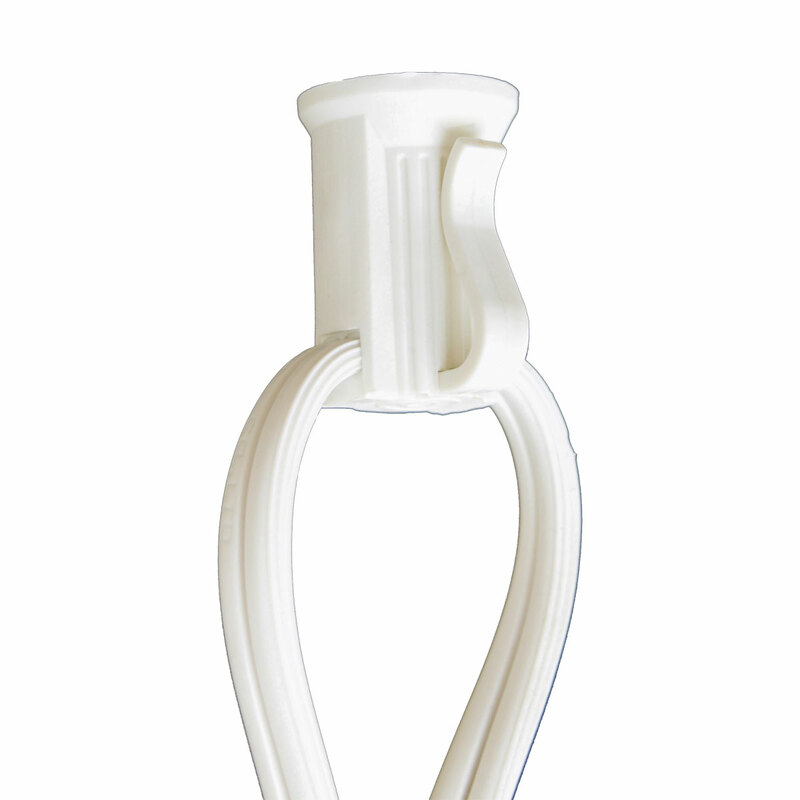 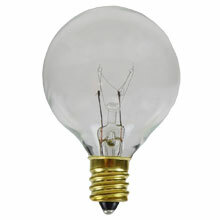 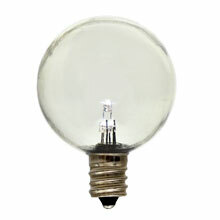 Use any of our candelabra base light bulbs in this 50-foot white light strand. 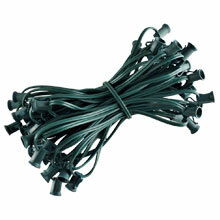 18-gauge green wire. 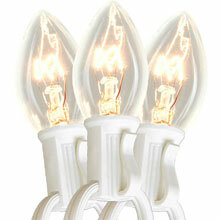 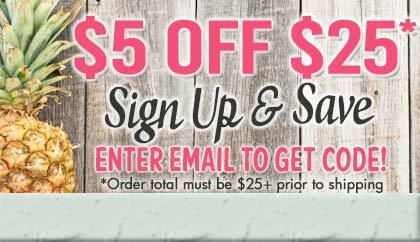 Great for indoor or outdoor applications. 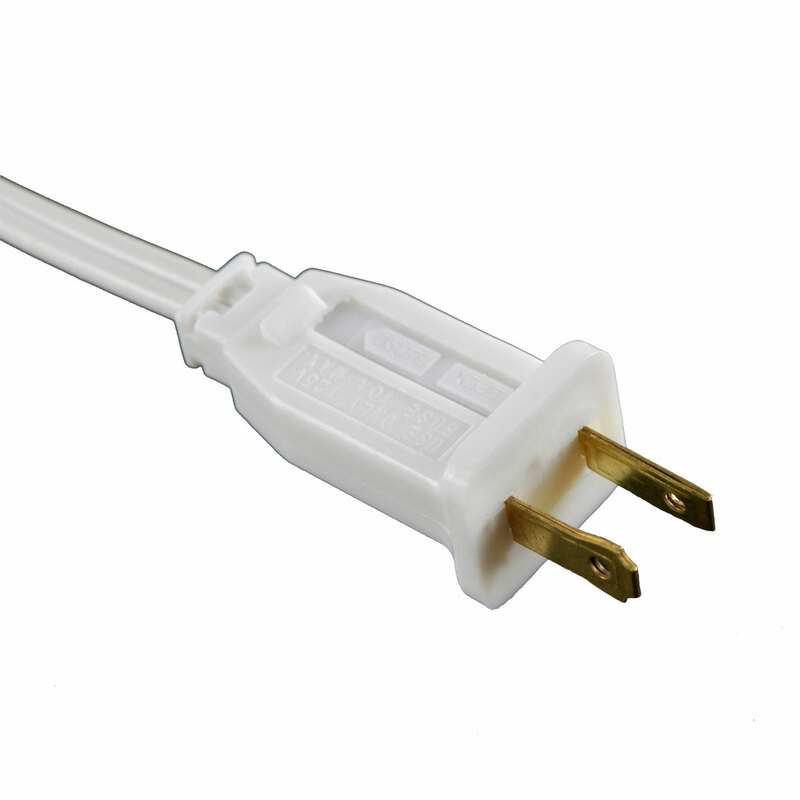 7 amp fused polarized plug.